My first novel "Nano Surveillance" is on sale today at Amazon.com, in Kindle Format. Enemy White House, Media Deceit, Billionaire Greed, Hi-Tech Spying, "NANO SURVEILLANCE" is a political techno-thriller novel that you won't be able to put down. "NANO SURVEILLANCE" is only $2.99 for a short period of time. This price represents a 25% savings on its normal list price. See http://www.amazon.com/dp/B00DJSZ92O to order you copy today. Kirk Holiday - Scary and Could be True - "Scary how true it could be today with people ignoring what is in front of them. Seems like it was written to foretell what we are experiencing today." 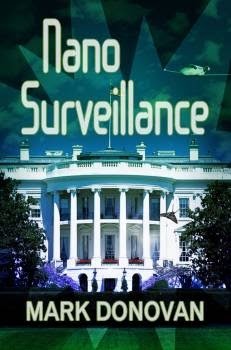 My first novel "Nano Surveillance" is free on Amazon.com in Kindle format for today and tomorrow only. "Nano Surveillance" is a political techno-thriller that gives a chilling view of where spying technology is headed in the not so distant future. With over 30 years in high tech as an electrical engineer, and extensive knowledge in various sensor technologies, I decided to write "Nano Surveillance" to bring awareness of where "big brother" is headed in our country and around the world. "Nano Surveillance" is a 386 page fictional political techno-thriller centered around Washington, D.C., the Caribbean, and the northwest part of the United States. 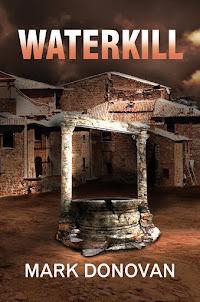 It is action packed and a page turner, so says some of the book reviewers. Author, Mark Donovan's debut full length novel is excellent..It's, about power, control, corrupt government and corporations..It's a slow building suspense, espionage, nano/tech thriller..This story goes way beyond our days of "Big Brother" is watching..Good character development and two story plot lines that seamlesly intertwine..What I especially liked was that each chapter heading had the date, coast and timeline, which as you continue reading along makes you start fearing a countdown to the chaotic, explosive ending...The novel was fascinating yet shocking at the same time..I read for entertainment value and there were no typos in my copy.. Even though this novel is fiction, it's very thought provoking..Nano-Technology is very real and being experimented with today..In our society we already have camera surveillance everywhere, wire tapping and the very controversial "Drones"..So, who really knows anymore what our society is becoming and who you can really trust...This is what this thriller will show you.. WONDERFUL story! Very apropos to our current situation! I could not put it down......I thought the author had a great imagination but my son develops sensors as his job. I will have him read this book and see what he thinks!